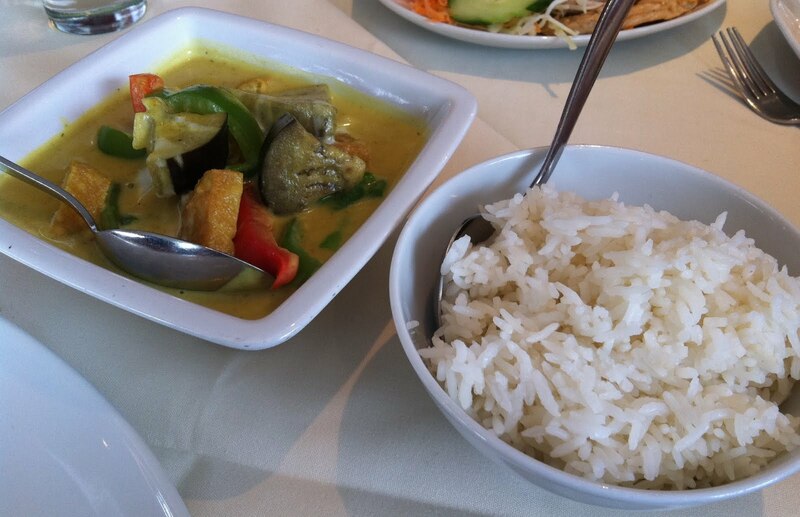 So, I'm 22 years of age and obsessed with food, but would you believe that a few weeks ago was the first time I had ever eaten at a Thai resturant! I know!? As I said before Milton Keynes doesn’t exactly get your foodies juices flowing, but there are a few good restaurants out there and this week I discovered there's one about 5 minutes away from my house! Oxley Park may not seem like the most happening place in MK, but The Pink Olive (formerly known as Papaya) seems to be doing extremely well there. We found this out when we arrived without a booking to find that it was pretty much fully booked. They still managed to fit us in though, which isn’t surprising as the staff went out of their way to make sure everything was perfect. 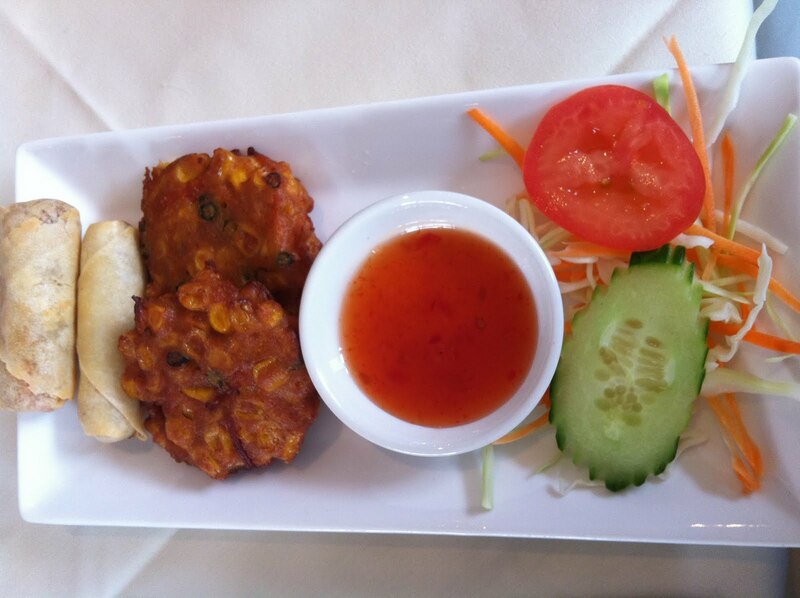 We started off with a plate of mixed starters and as I’m veggie, I got one to myself (hoorah), which consisted spring rolls and sweet corn fritters. With 3 plates between 5 of us the portions were very generous and the sweet corn fritters made a perfectly light (and not to mention delicious) start to the meal. For the main I had green tofu thai green curry, which again was a very generous portion! I’m a big fan of tofu, and I love having it cooked for me because it’s always so much better than when I try myself. This was no exception, it was lovely and crunchy on the outside and soft on the inside while soaking up the spicy flavours of the coconut sauce. I loved the tofu curry so much; I’ve decided to attempt one myself tonight! The post should be up some time next week.